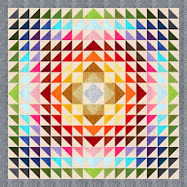 We attended the 'Sol y Sombra' (Sun and Shade) quilt show last weekend, and had a fantastic time. 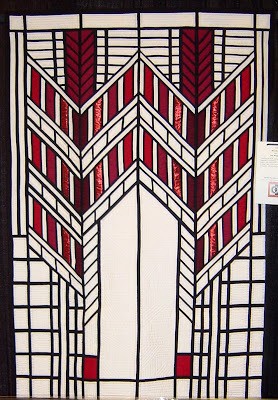 The show is an annual production of the Arizona Quilters Guild, and this one was a whopper. 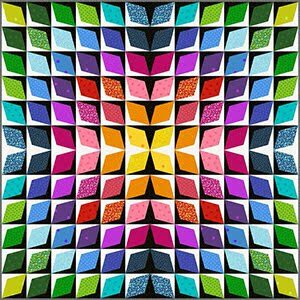 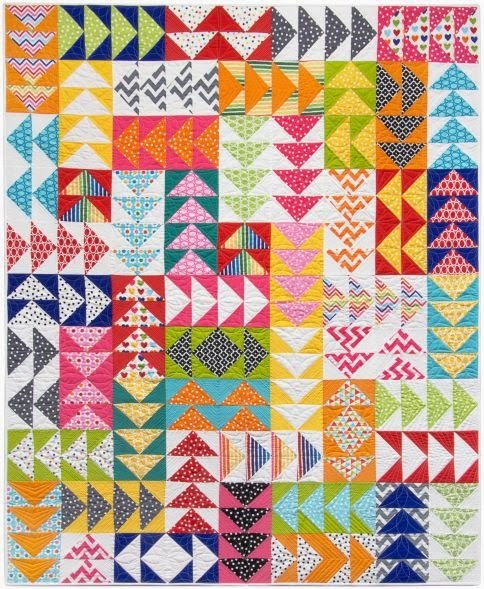 A total of 333 quilts were on display for two and a half days, and thousands of quilt lovers were in attendance. 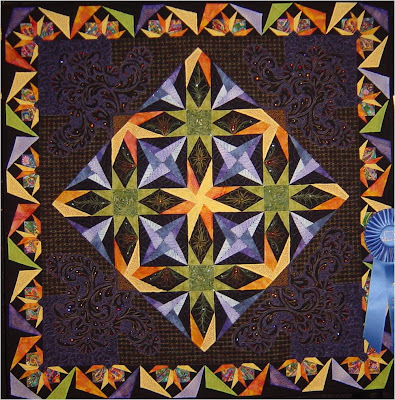 Awards were given in an array of categories, for large/medium/small quilts that were pieced, appliqued, or mixed techniques; as well as art quilts, pictorial, miniature quilts, and other categories. 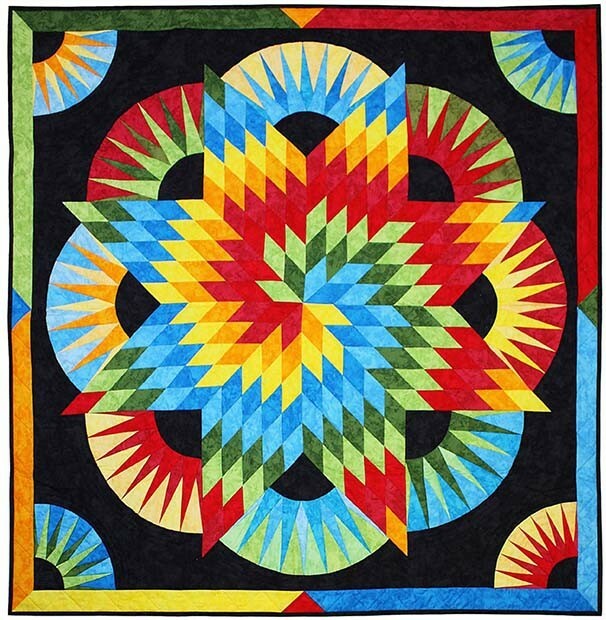 Today, we're showing a sampling of the quilts we liked (there were so many wonderful ones, it was a bit hard to choose). 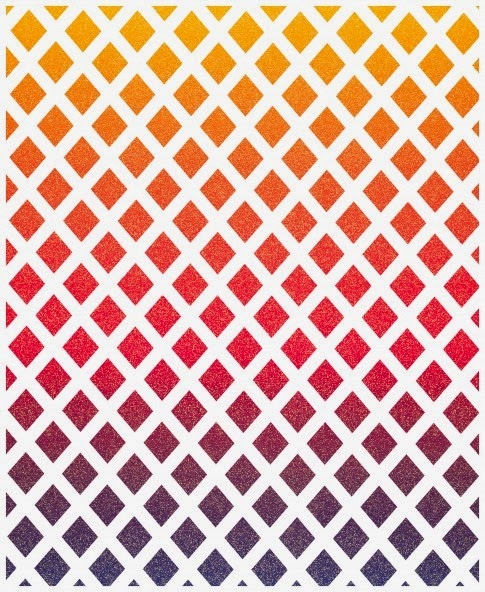 Which of these are your favorites? 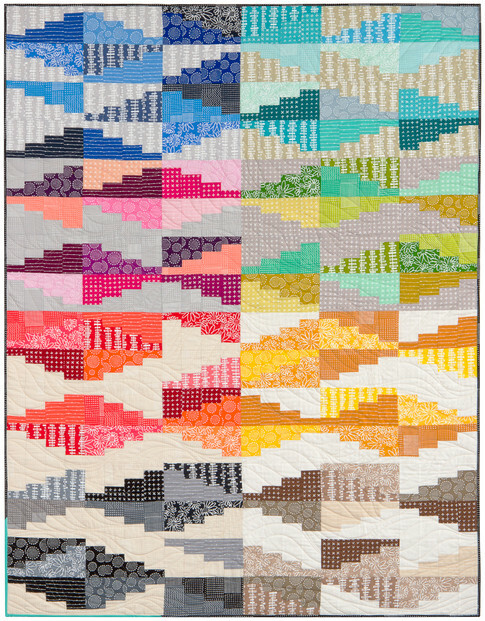 The inspiration for this beautiful landscape wall hanging was the quilter's six-day raft trip through the Grand Canyon. 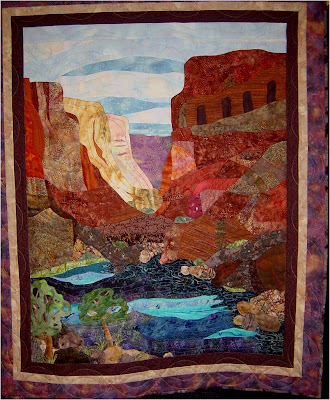 In designing the quilt, Sheila made use of photos from the trip, capturing the red rock of the canyon walls and the brilliant blue of the river. 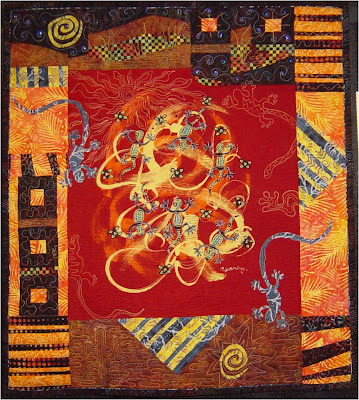 The panel, completed by stitched and appliqué techniques, is a day/night desert scene of scampering geckos escaping the scorching "sol" and into the cool night "sombra." 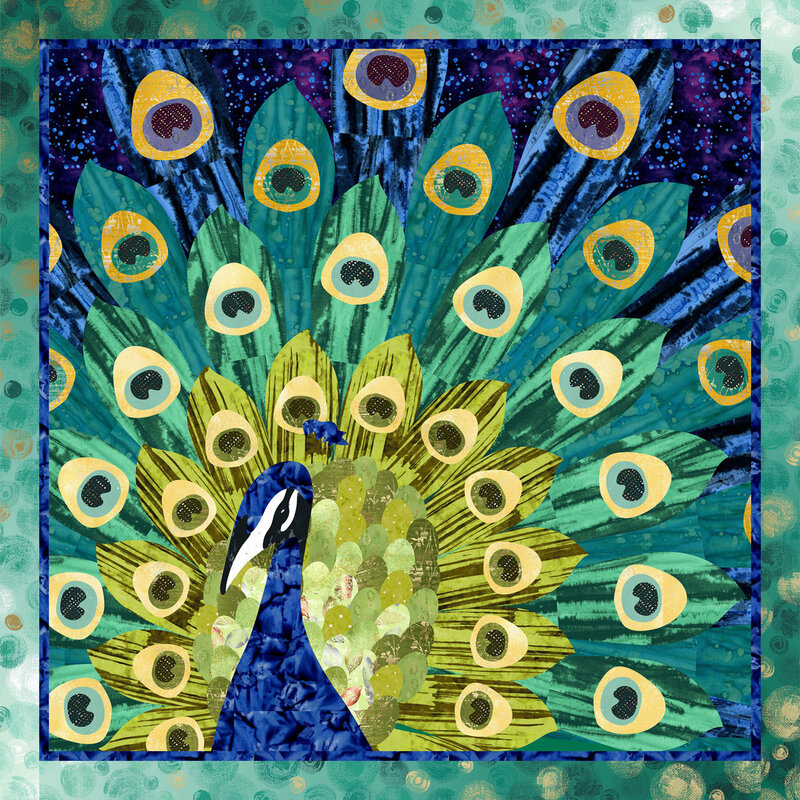 The piping and crystals, along with the leafy batiks, add energy to the piece. 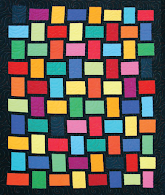 The quilter was inspired by classes taught by Susan Vassallo and Sarah Vedeler. 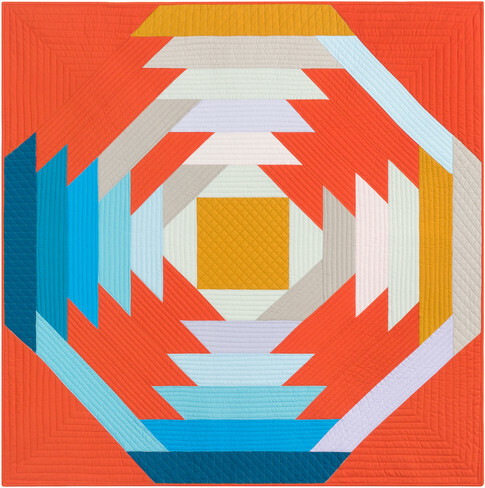 This stunning quilt won a blue ribbon. 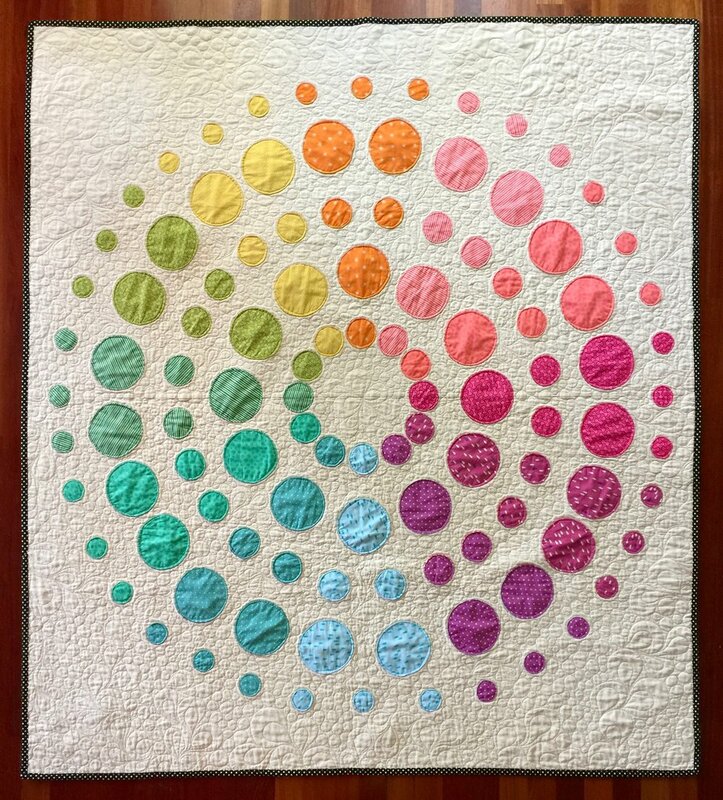 It is a pieced wall quilt that was professionally machine quilted. 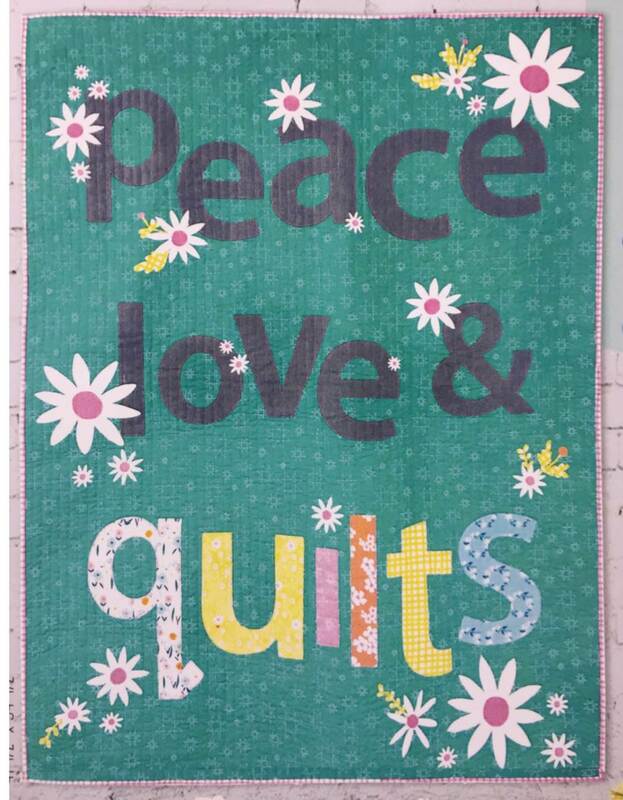 Sharon says that this quilt was started in a Carol Doak class several years ago. 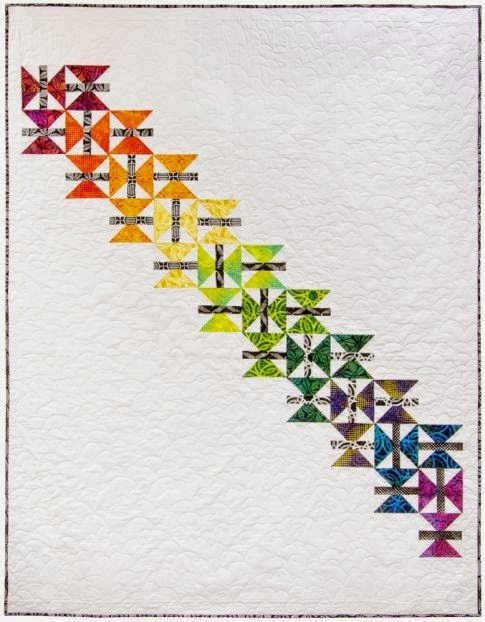 "It was completed within a few months then got tucked away in a drawer. 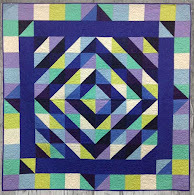 Upon finding it recently, I decided it was time to quilt it…finally!" 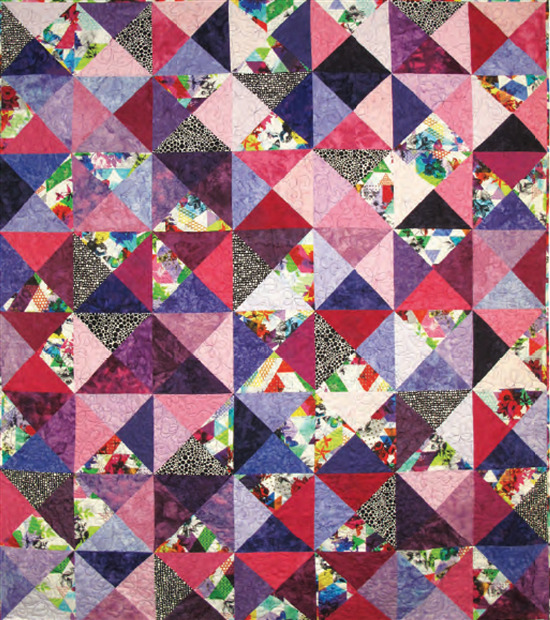 The quilt was embellished with crystals which enhanced the intricate quilting design (see detail above). 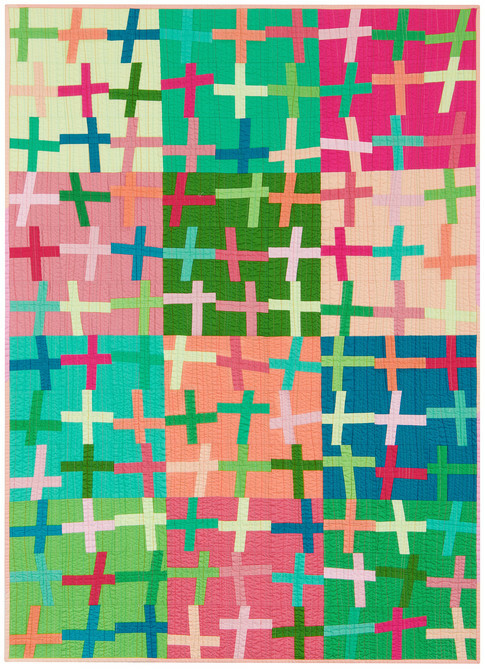 Dorothy Alliss says: "A few years ago I saw this ("Joy") quilt in a magazine and fell in love with it." 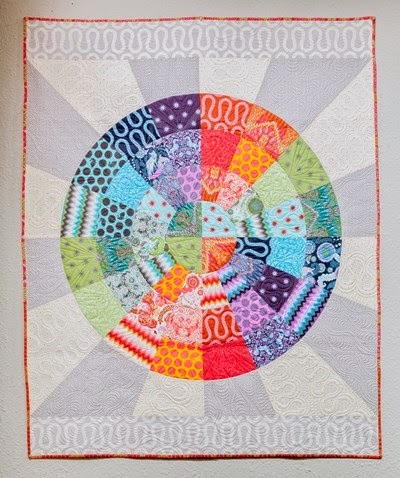 The quilt design was by Jacqueline deJonge (see link at the end of the post). 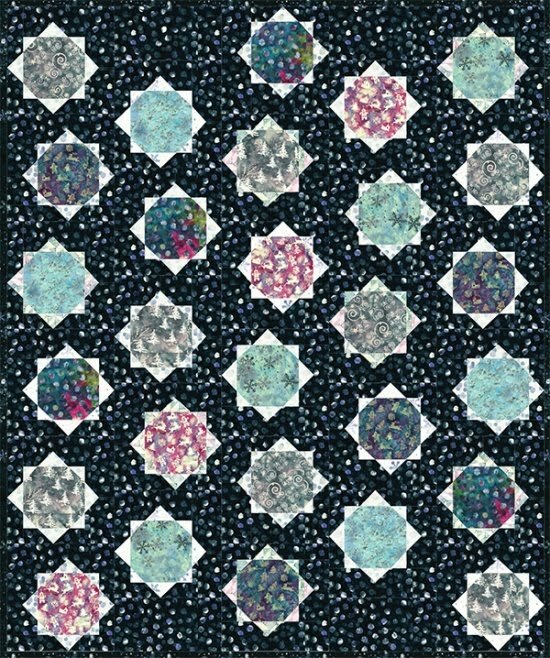 Sherryl Buchler is a fan of Shibori and hand-dyed fabrics, and she created the original design of "The Path Not Taken". 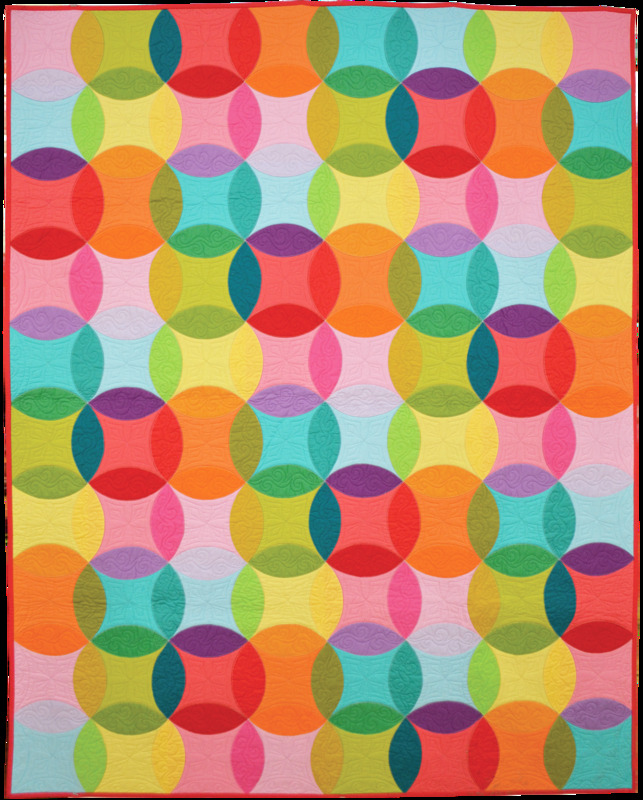 Sherryl says that she stared at the fabrics for 8 months before the pattern "spoke" to her. 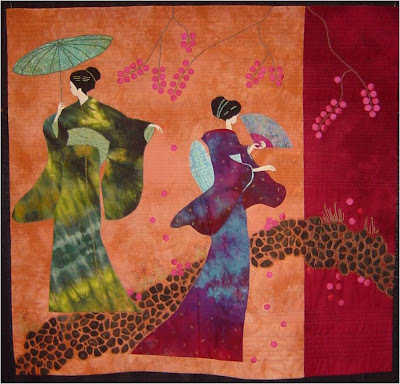 The graceful, elongated figures are perfectly composed as they stroll along the path. 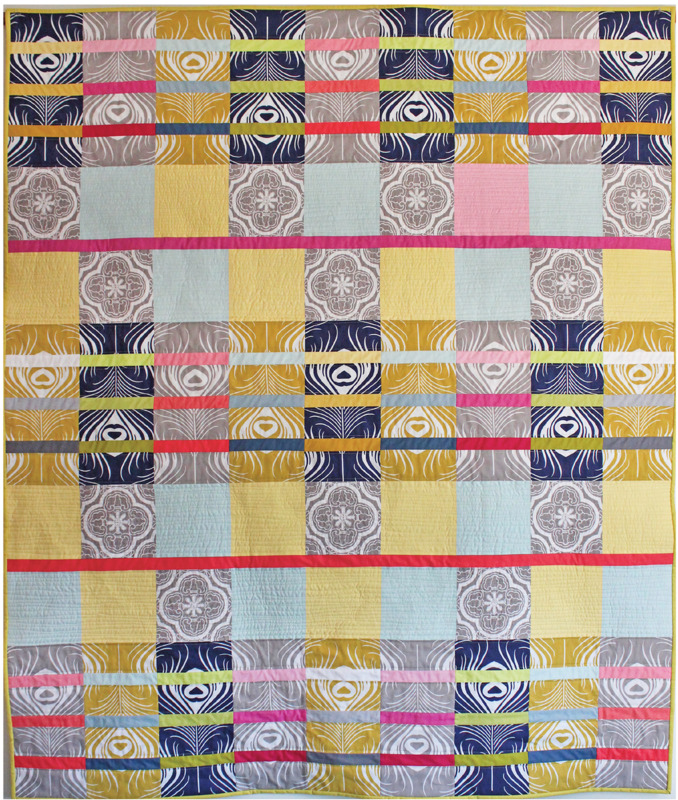 Elisa Lawrance chose brilliant Southwest batiks for this open tumbling block pattern. 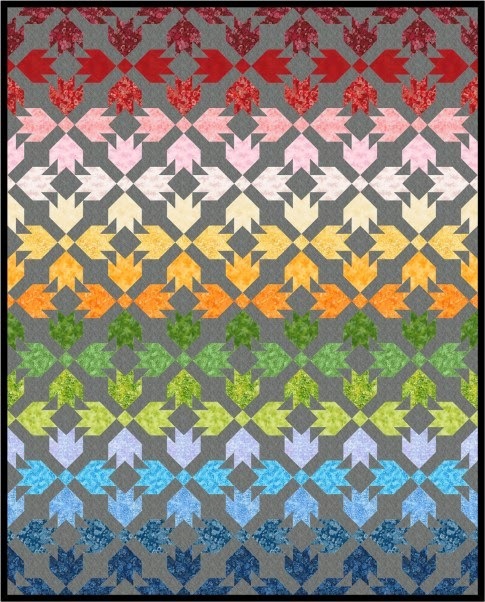 Thanks to the selection of bright batiks, along with a dramatic black background, the boxes appear to be lit from within. 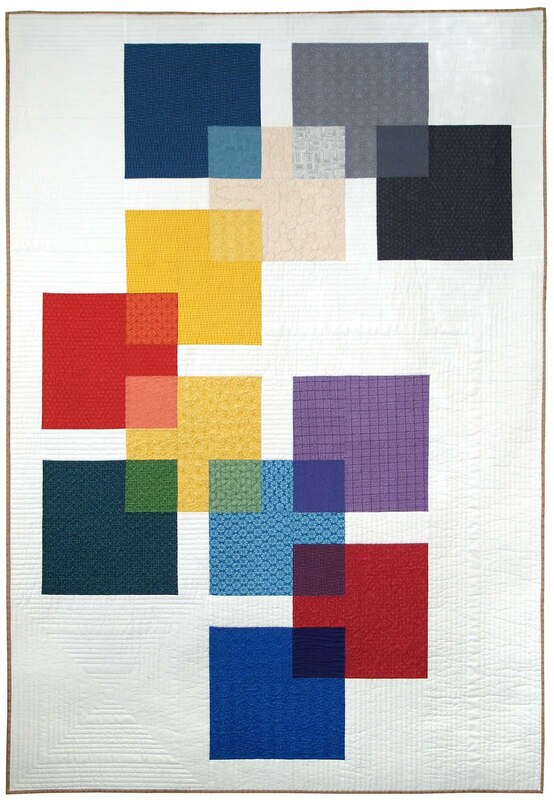 Minimal quilting in the boxes helped to define and accentuate the cubes (see detail view). 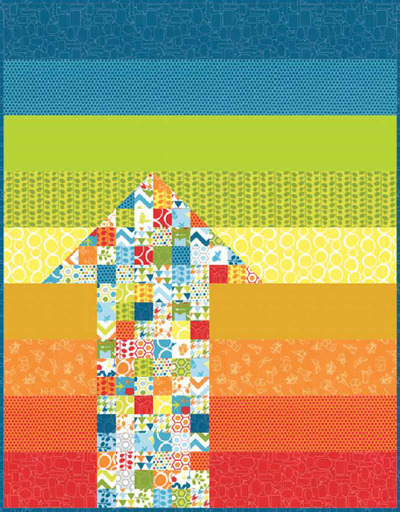 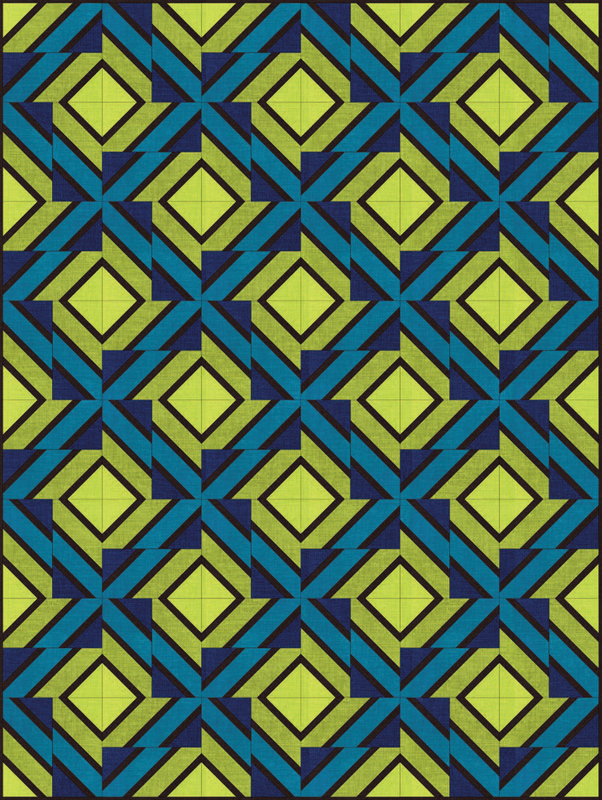 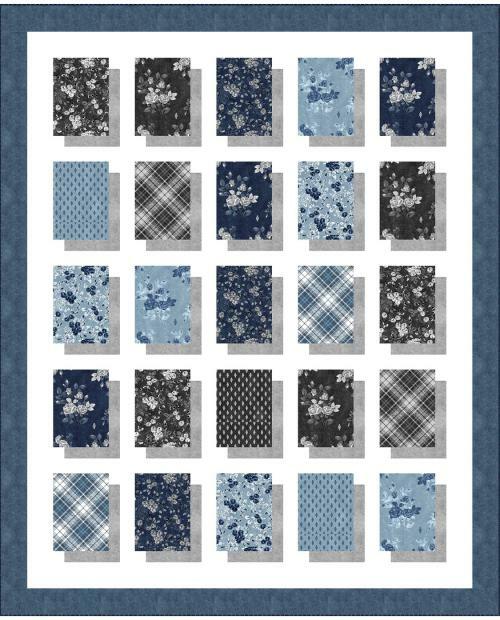 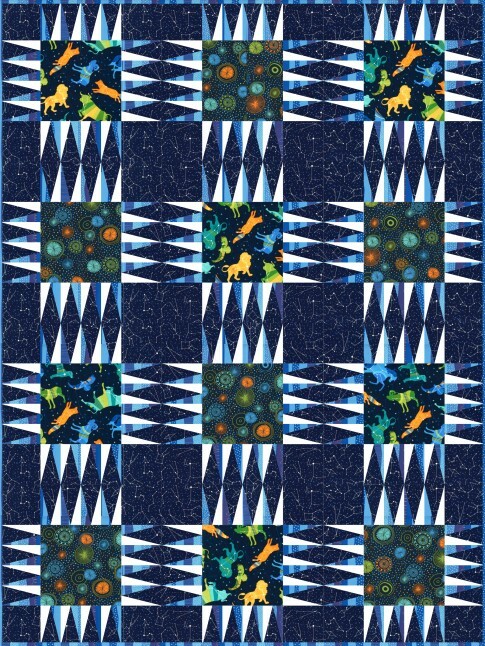 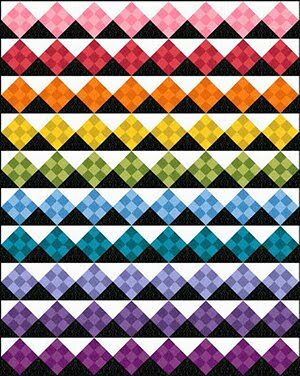 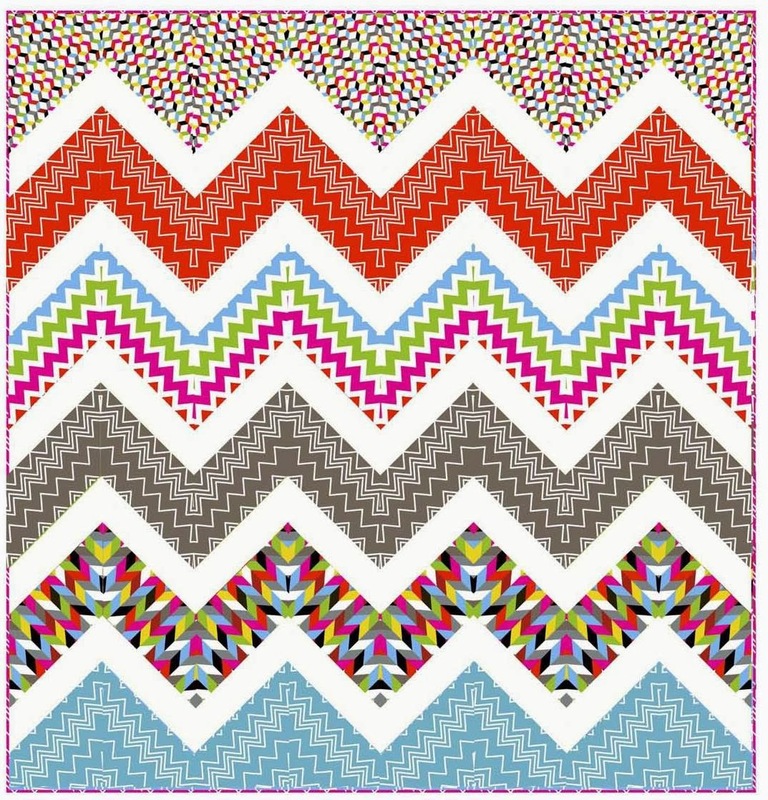 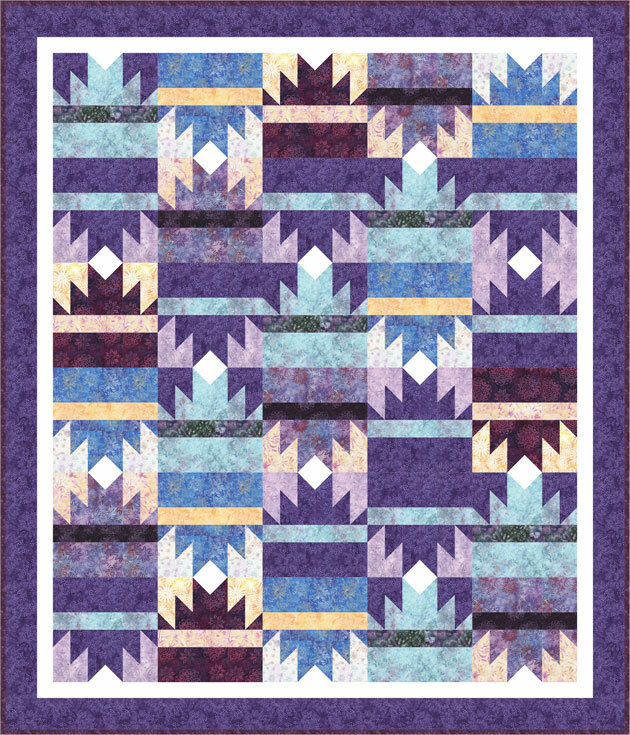 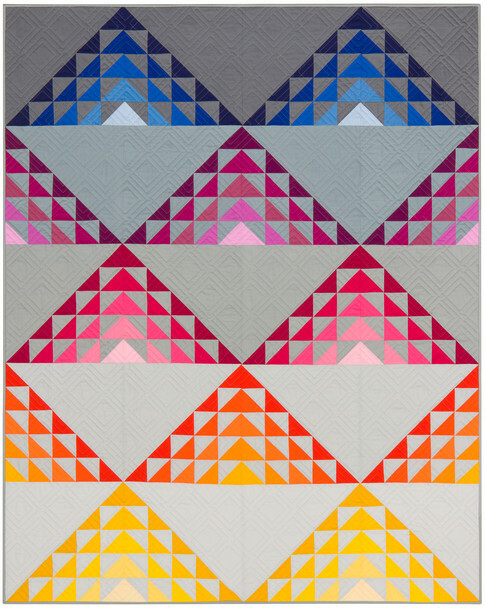 The "Think Inside the Box" pattern inspired this quilt; see the links at the end of this post. 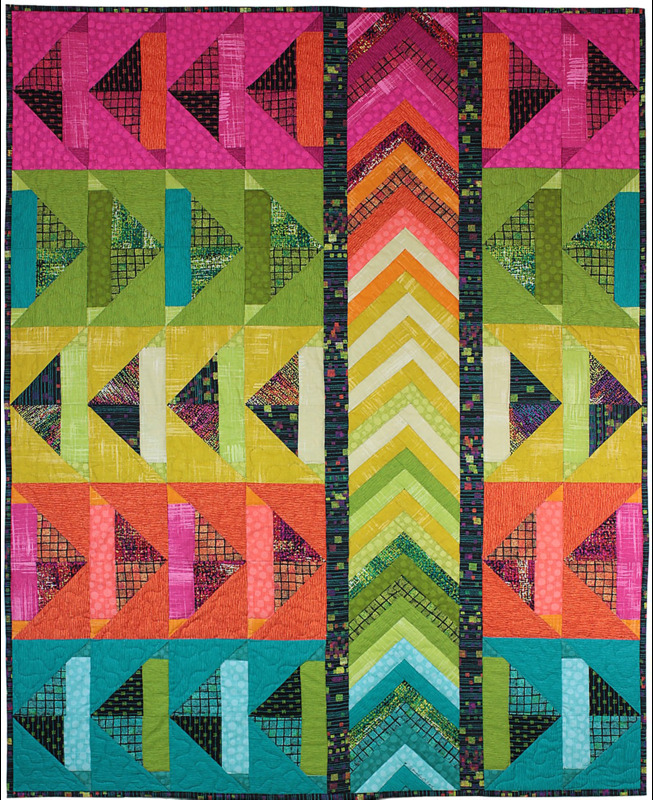 "The Wright Stuff" was made for the AQG's 2009 President's Challenge. 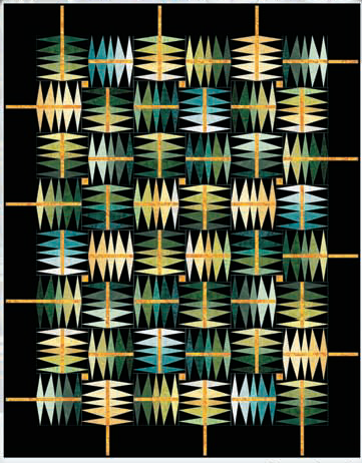 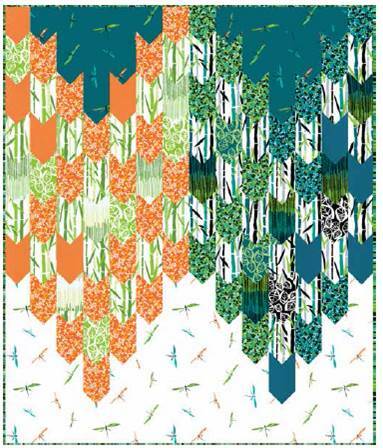 The pattern is from Jackie Robinson's book of Frank Lloyd Wright window designs (for the link, see below). 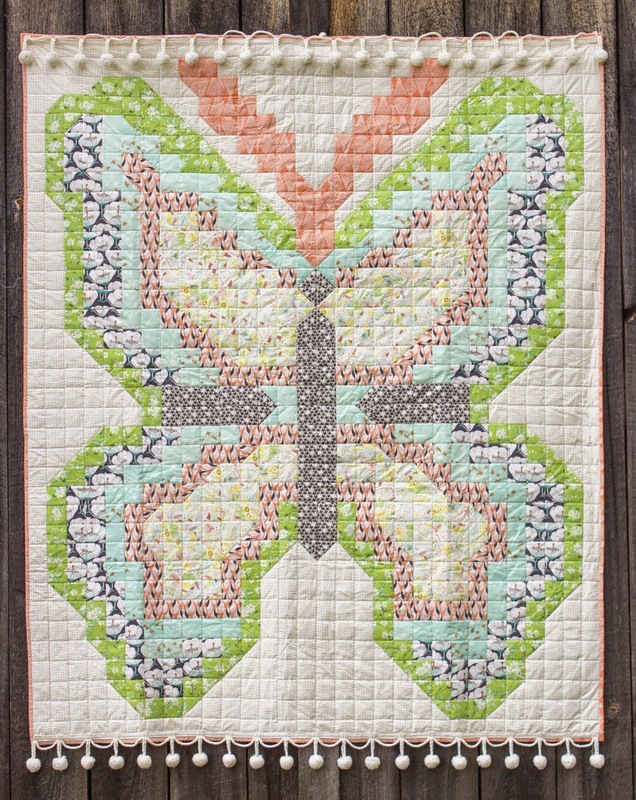 The quilting was done by Jessica Brunnemer. 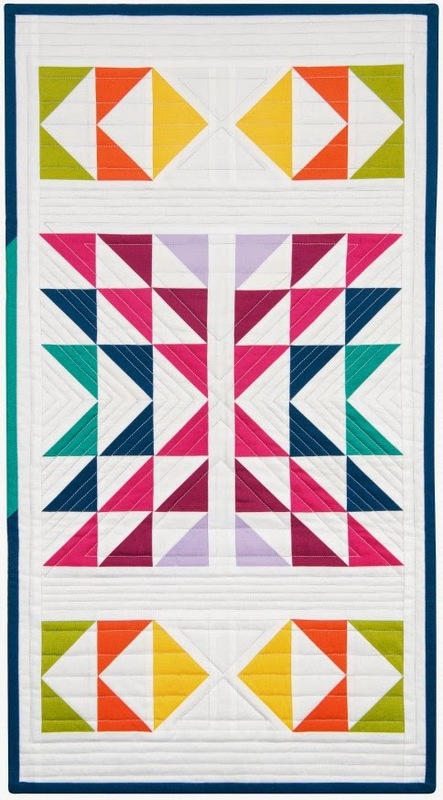 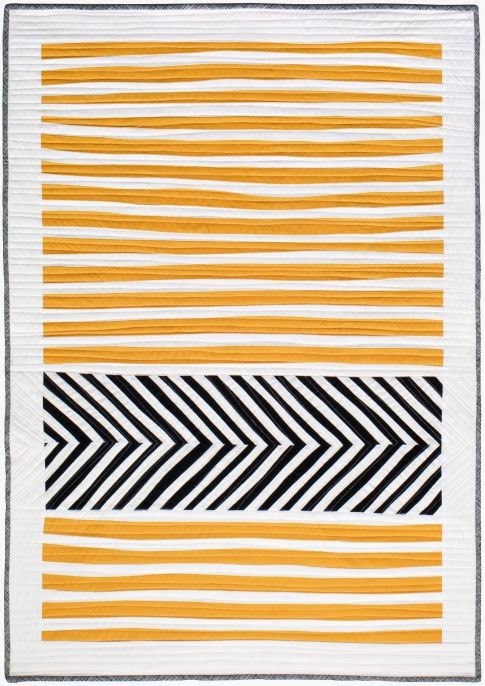 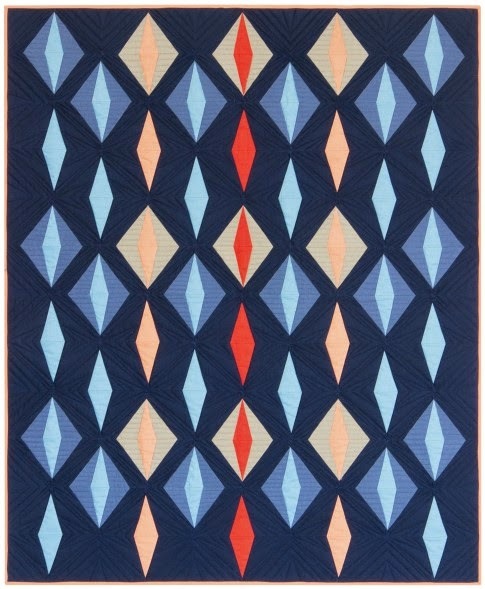 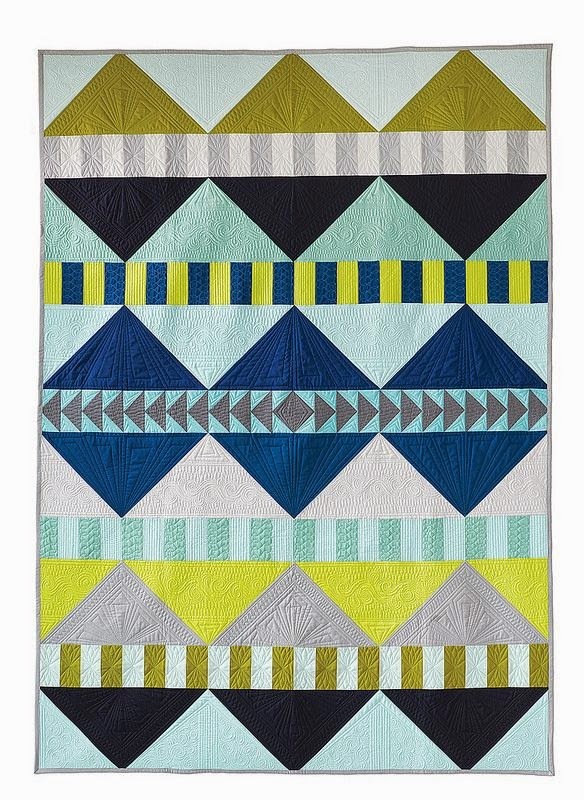 This beautiful quilt was based on a 1995 pattern by Monica Calvert. 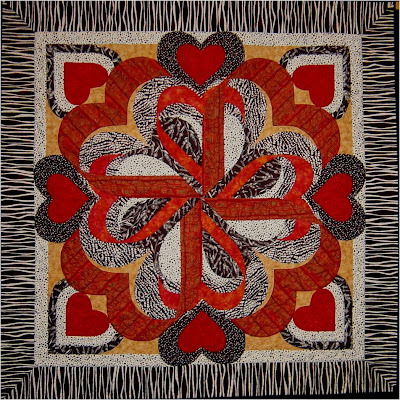 The clamshell shapes form layers of hearts in red and black, giving the appearance of loops of ribbons. 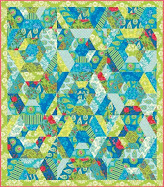 Jeanne Copeland says that she purchased the pattern in 1995, and finally decided to take the plunge in 2009. 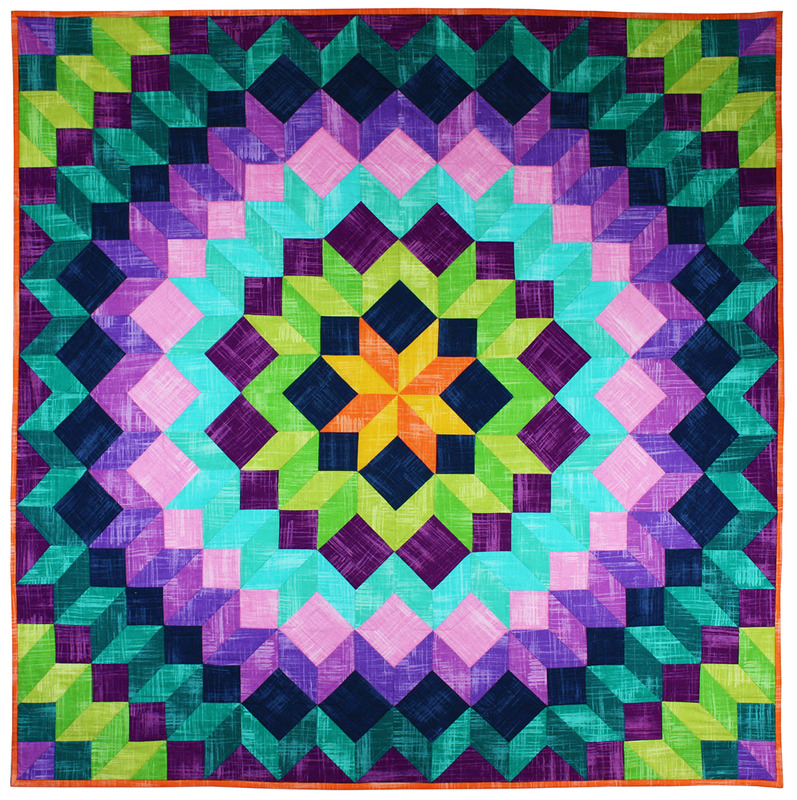 The quilting was done by Sherry Jack. 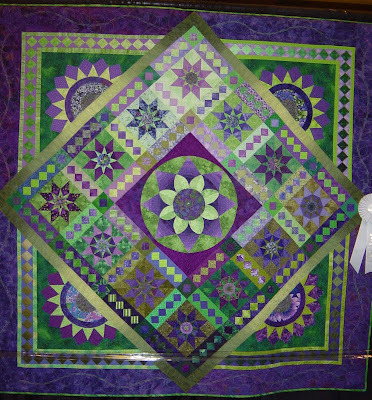 "Spring in my Step", above, won third prize in the Master's division (for quilters who have previously won a major award.) 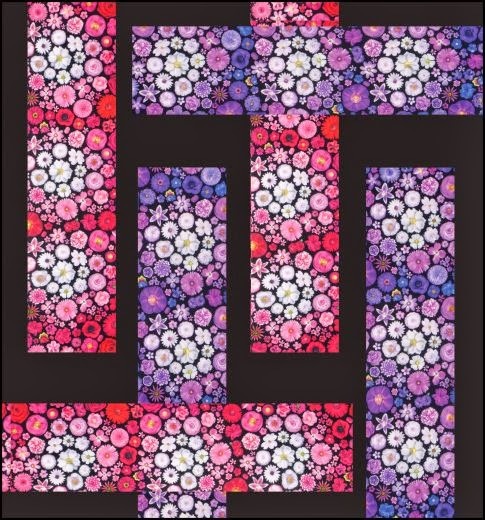 Ann Peterson started with a traditional sunflower block, then designed three very different approaches to making it. 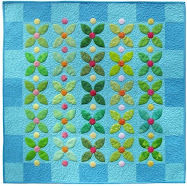 Spring" refers to the spring-like colors, and "step" refers to the sashing, which reminded Ann of stepping stones. 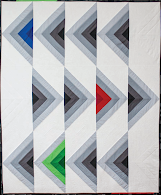 The quilt was machine-pieced, machine-appliqued, and quilted by Ann on a regular sewing machine. 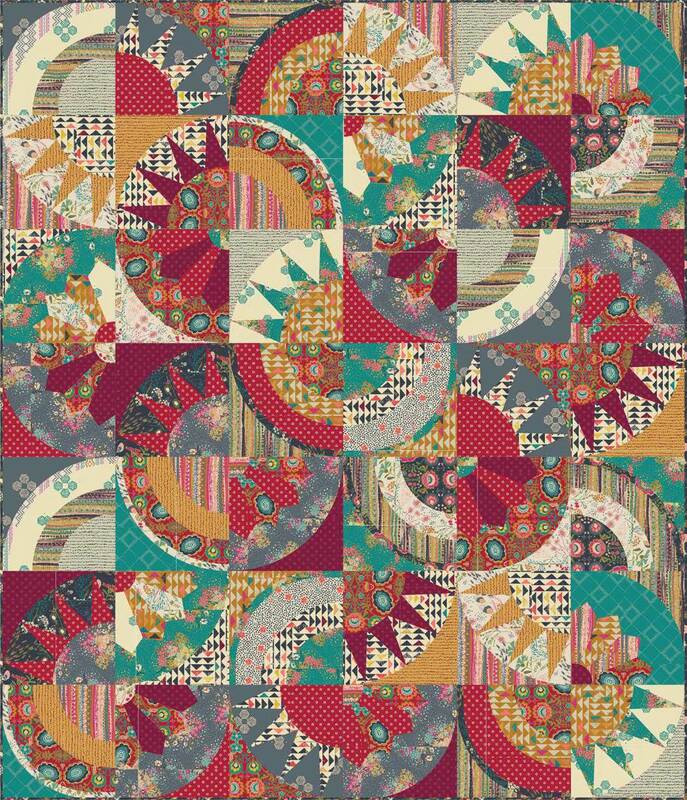 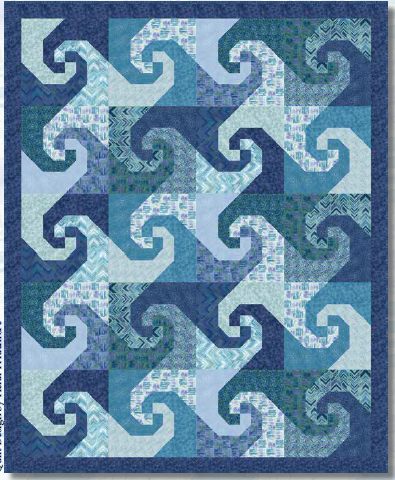 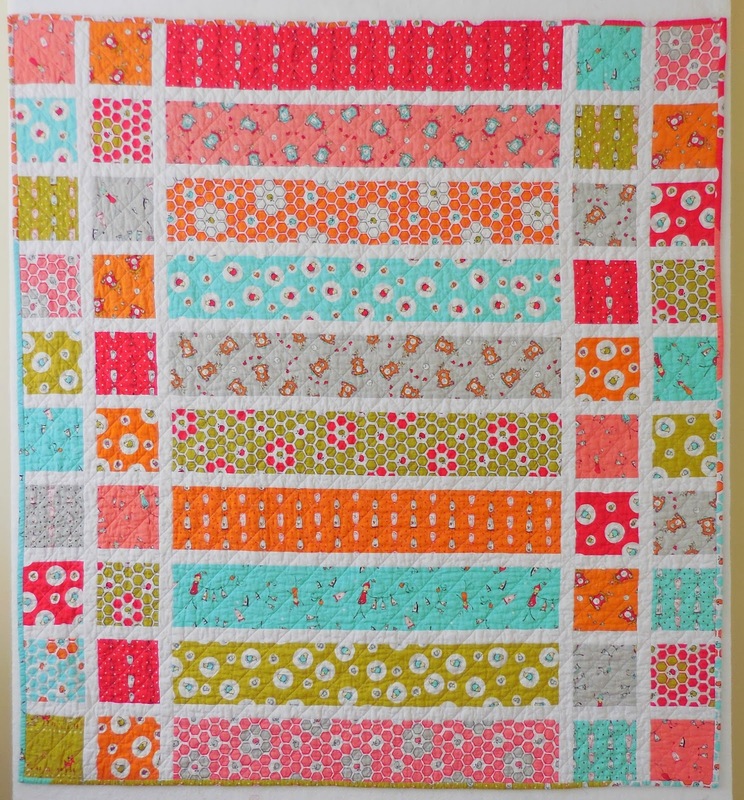 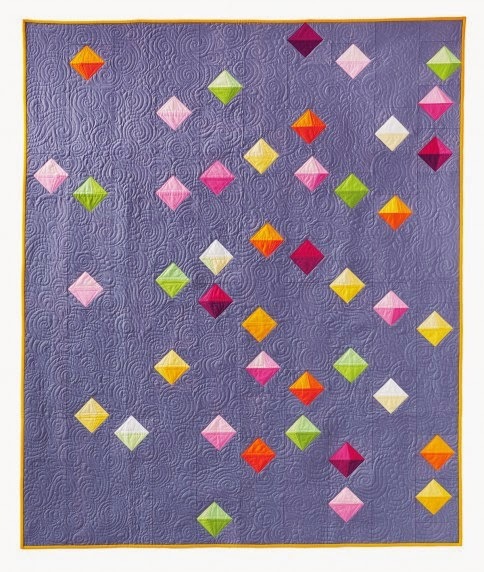 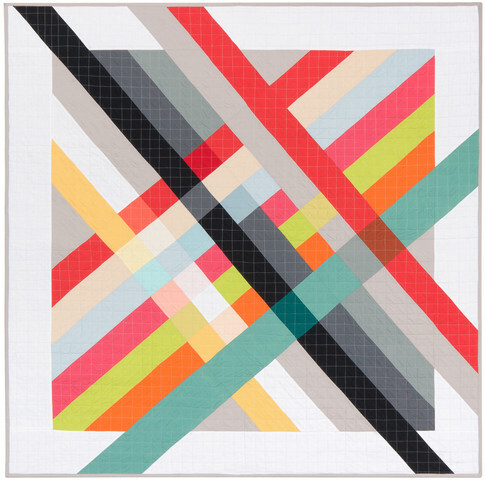 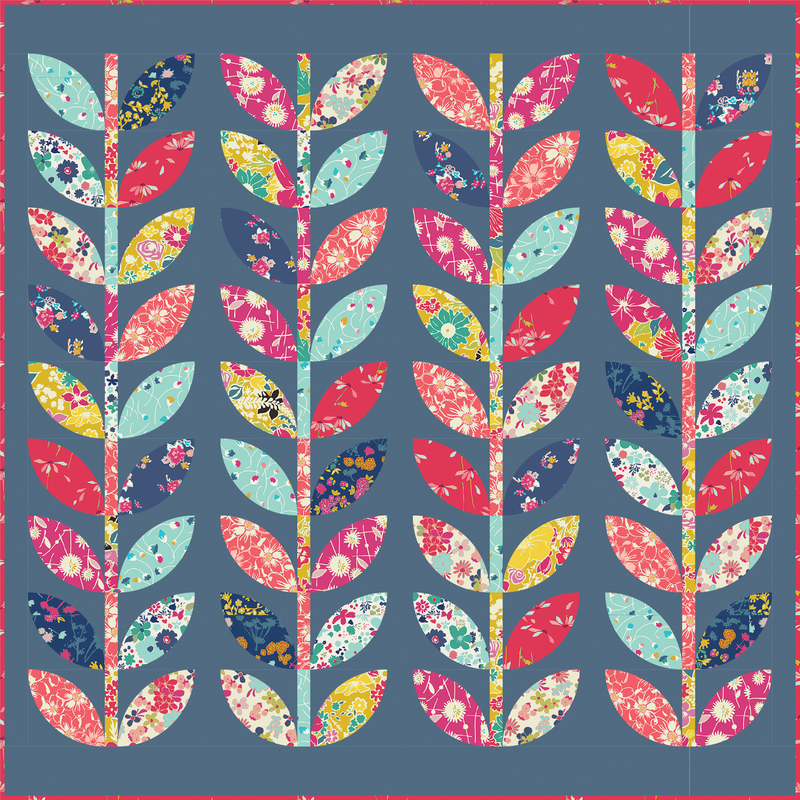 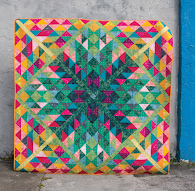 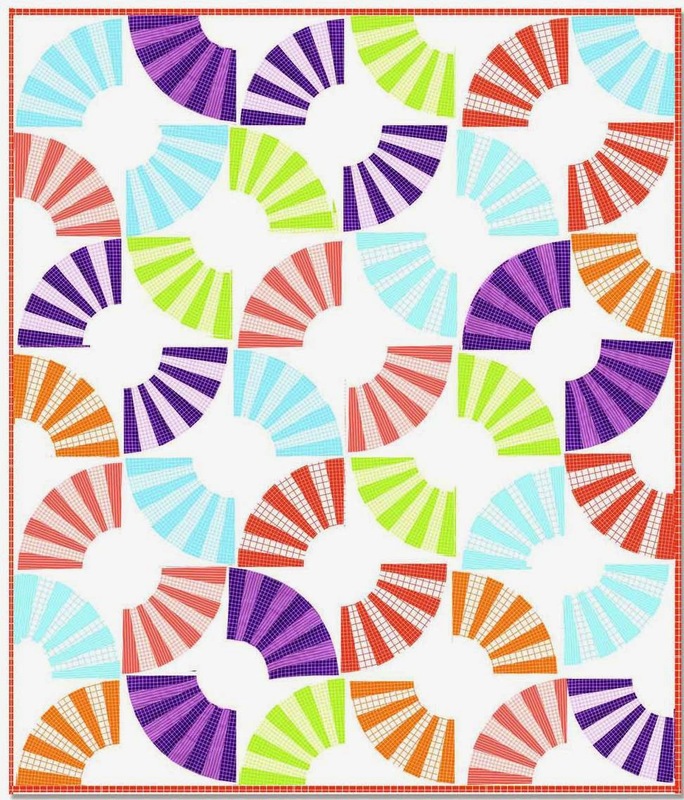 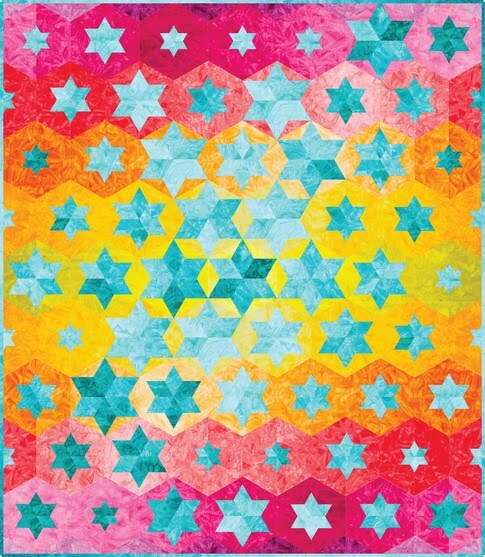 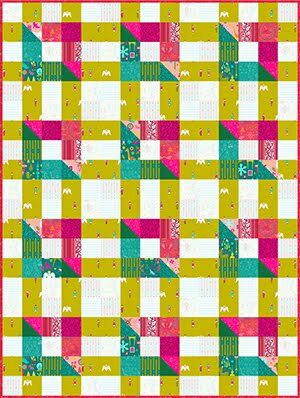 This fabulous quilt was based on an Irene Berry pattern in the May 2007 Quilter's Newsletter. 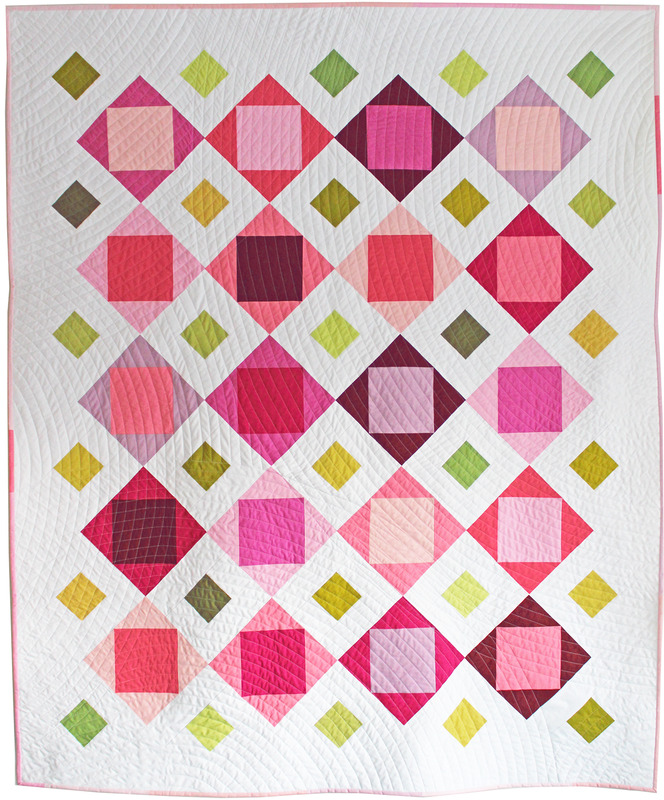 The quilt was paper-pieced, and each 6 inch block (196 in the quilt) has 24 seams! 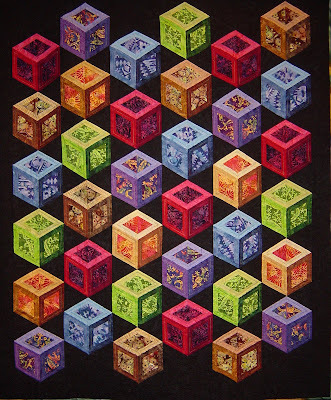 The photo shows a detail view of the blocks. 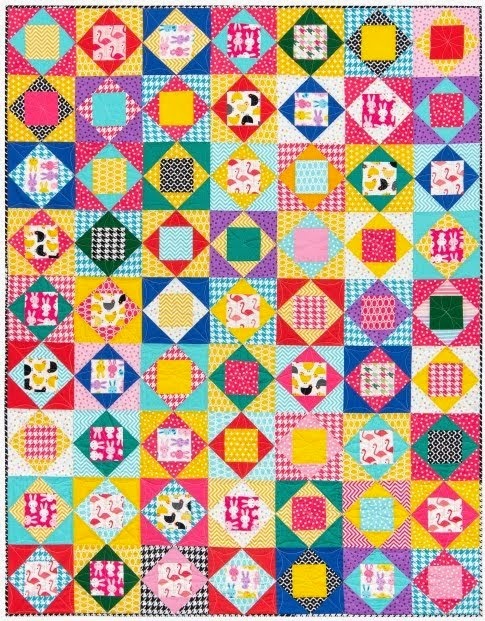 The quilting was done by Donna Reed. 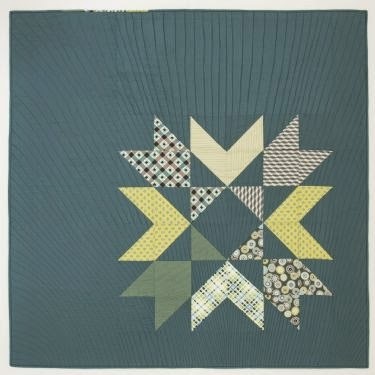 The quilt was based on a class taught by Mary Lewkowitz of the Bernina Connection, using the "Christmas Pickle" design by Nancy Smith and Lynda Milligan. 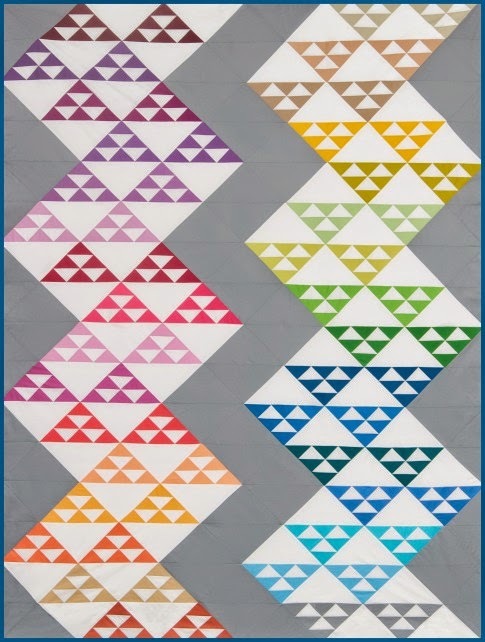 Ann Slater says: "I thought this would be a good way to learn paper piecing, not exactly a small project. 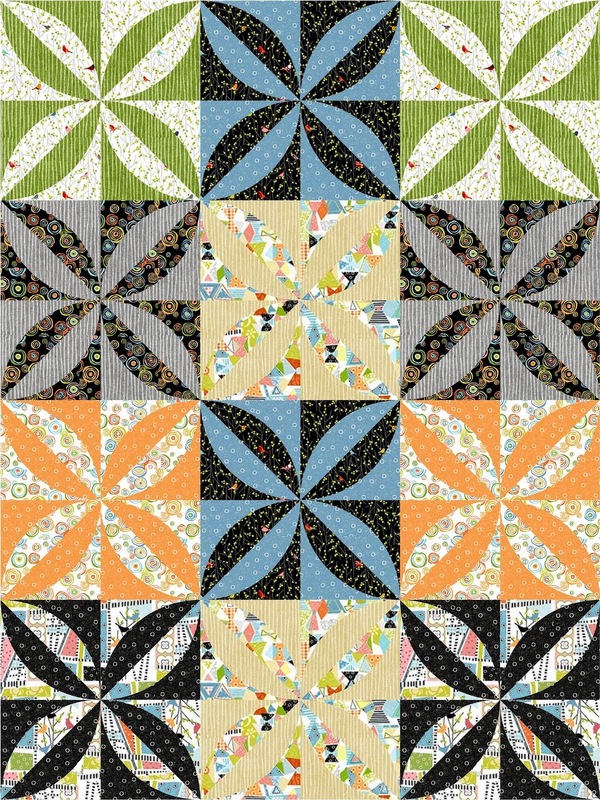 Many times I felt like I was "in a pickle" or that I needed to "get pickled" to finish this." 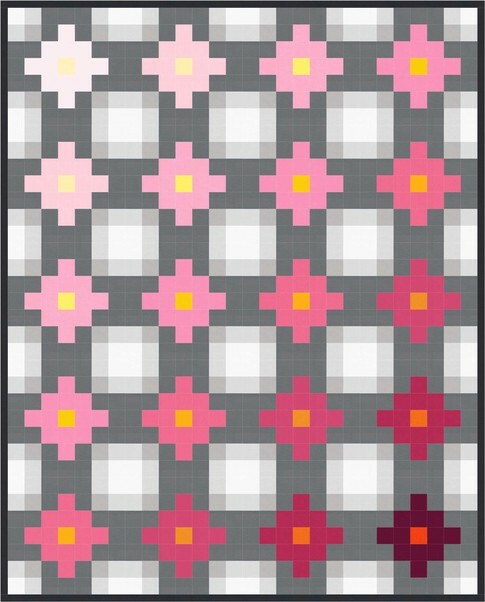 The photo shows a portion of this bed-sized quilt. 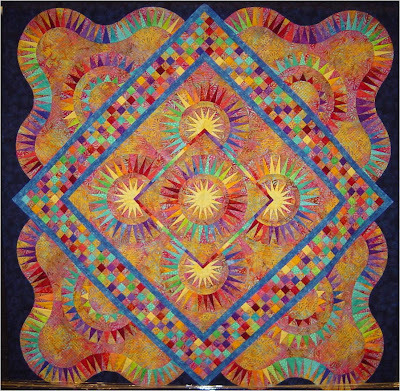 This stunning art quilt won a blue ribbon in the wall quilts category. 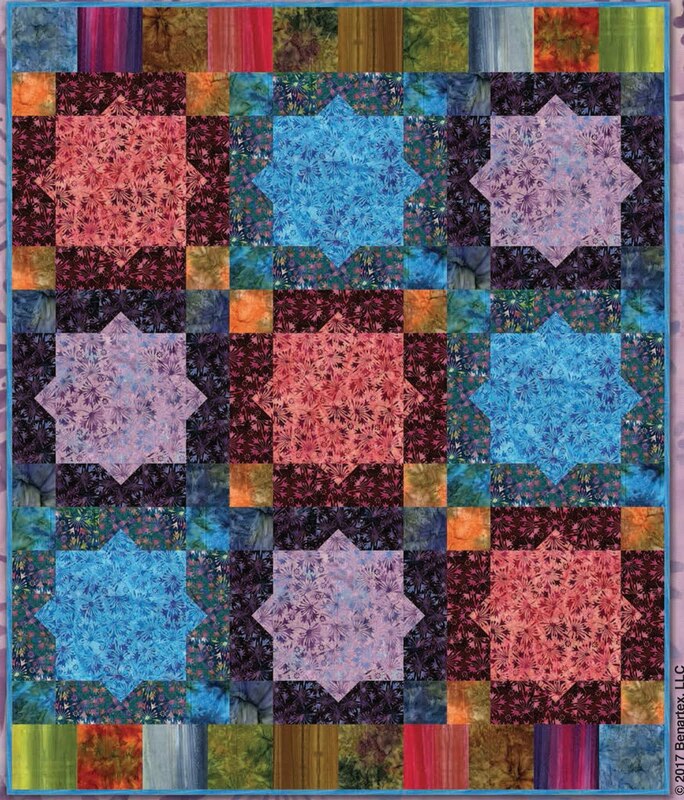 A detail view is shown above. 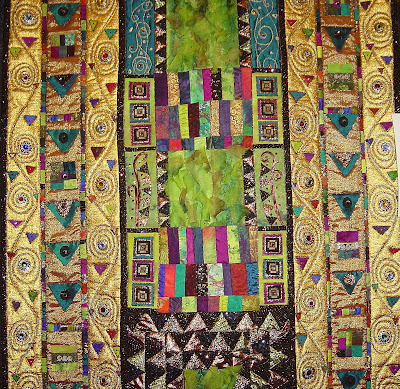 The piece is a tapestry, incorporating a variety of fabrics - including taffeta and chiffon - along together with the gold tapestry borders, which are embellished with jeweled buttons. 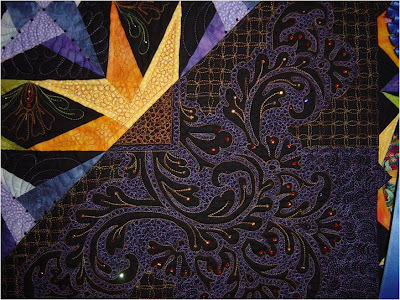 Linda Schoenfeld says that the geometric motifs, scrolls and curlicues of Gustave Klimt (1862-1918) have always inspired her. 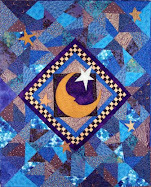 Quilt show photos are by Quilt Inspiration. 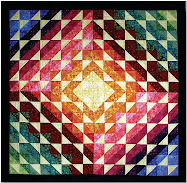 The 'Sol y Sombra' quilt show is an annual production of the Arizona Quilters Guild, Phoenix, AZ. 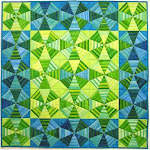 See their site to view more quilts, and to purchase a CD collection of all the quilts in the show. 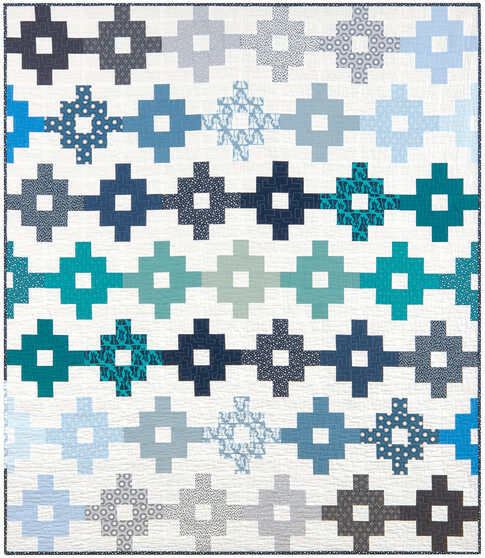 Kristen, thanks for your comment... we thought so too. 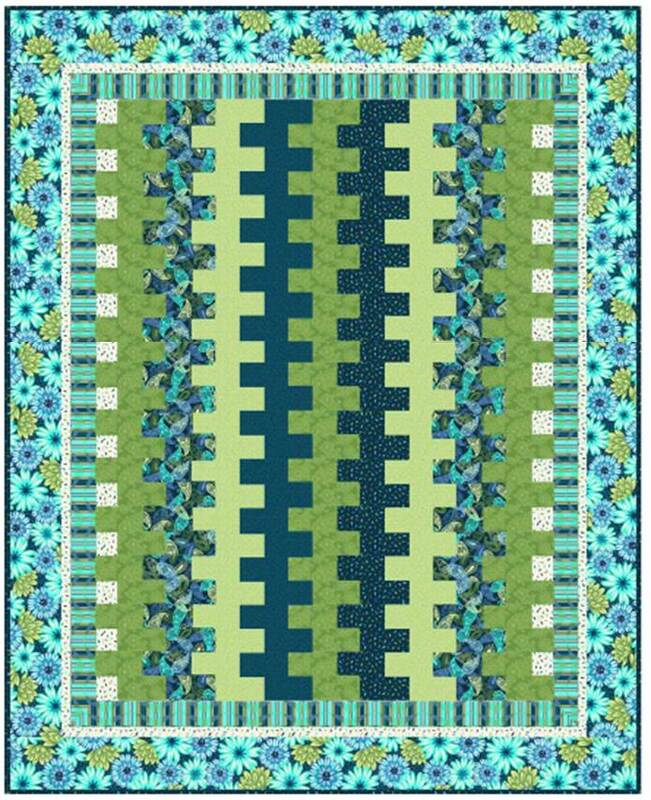 Sheila Groman did a fantastic job composing the quilt and selecting exactly the right fabrics.